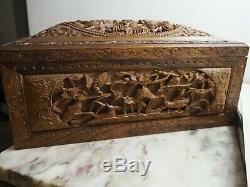 Very rare carved box, openwork sculpture. 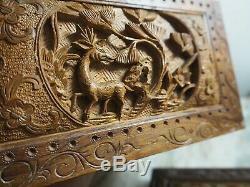 In precious wood: hainan huanghuali. A divine fragrance emerges as soon as you open the box. 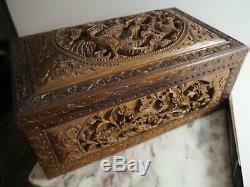 The structure of the box is all in huanghuali, recognized by its typical scent and veins. 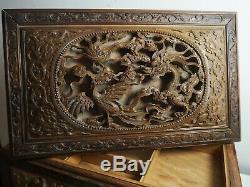 The panels carved on the 5 sides are in another type of hardwood, huangtan? 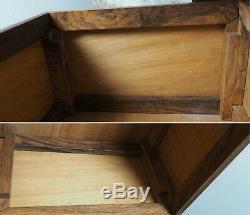 A beautiful old natural patina typically dense wood. Do not hesitate to make an offer (reasonable). 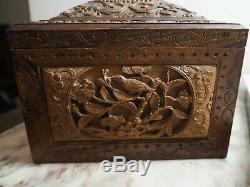 Very rare old chinese deeply carved box. 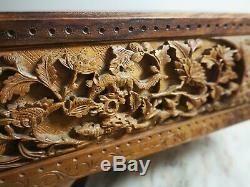 Precious wood: huanghuali of hainan. A stong and authentic fragrance comes out as soon as you open the box. A kine of lotus mud perfume, really pleasant. 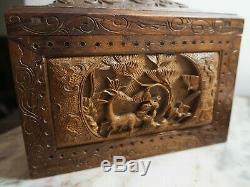 The structure of the box is all in hainan huanghuali. And the panels are in another type of hardwood. 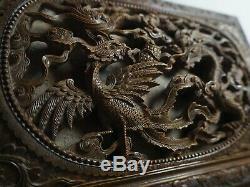 A beautiful ancient natural patina, typical of dense wood. Please make a (reasonable) offer. 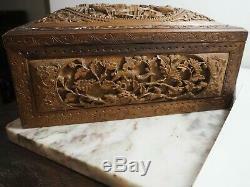 The item "rare chinese qing huanghuali wood carved carved box carving" is on sale since Friday, February 8, 2019. 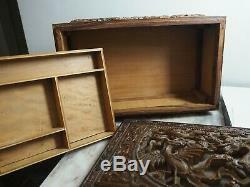 It is in the category "art, antiques \ twenties objects, recent". 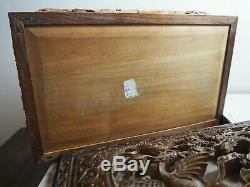 The seller is "alpyba" and is located in / in paris.